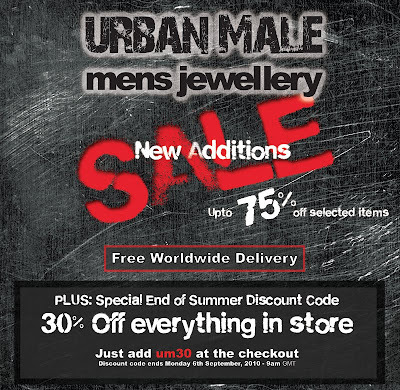 Come and join us at www.urban-male.com/ this weekend. We’ve not only got new additions in our upto 75% off SALE, but we’re also giving you a discount code to use with 30% OFF EVERYTHING !! PLUS: Don’t forget become a fan and win! We’re giving away £100 to spend in our store to one lucky facebook fan each month!